There was no post unfortunately on Day 51 – I was all ‘Beetonised’ out and nothing I looked at appealed to me. But, absence maketh the heart grown fonder, and I awoke this morning with renewed enthusiasm for this project. So enthusiastic, that I decided to tackle four recipes for dinner tonight. If you’ve ever had the absorbing pleasure of reading Nancy Mitford’s The Pursuit of Love and Love in a Cold Climate, you’ll be familiar with the dietary quirks of one of its very many hilarious characters, Davey Warbeck. “I must explain that I’m on a new diet, one meal white, one meal red. It’s doing me so much good…”, he explains at the dinner table as he looks with dismay at the dark-coloured dishes on offer. However, when a chocolate cream is presented, it’s miraculously counted as a member of the ‘red’ colour family and gobbled down, despite it being his ‘white meal’ night. The dinner I made tonight would have tickled his ‘red meal’ tastebuds no end. Bearing in mind my boyfriend’s comment last night: ”Oh no, not broccoli again!”, I tried to make a meal that contained nothing green. It was only as I served it up that I realised that, as well as avoiding green, I’d actually managed to avoid every other colour too, with the exception of brown and orange. Ho hum. Can a mono-shaded meal be any good? I had plenty of doubts on that score. I made German-Style Carrots recently and knew they’d go down a treat, but I was taking a bit of a risk with the other three (for a start, my boyfriend doesn’t like his meat to be tampered with, and is rather wary of anything containing mushroom.). But, always up for a culinary challenge, I decided to give it a go. 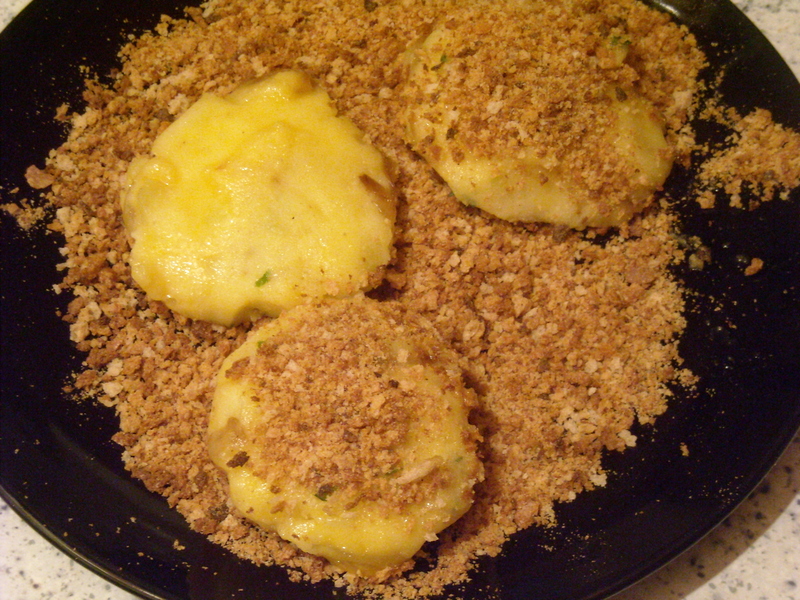 Pork Cutlet: INGREDIENTS – The remains of cold roast loin of pork, 1 oz. of butter, 2 onions, 1 dessertspoonful of flour, 1/2 pint of gravy, pepper and salt to taste, 1 teaspoonful of vinegar and mustard. 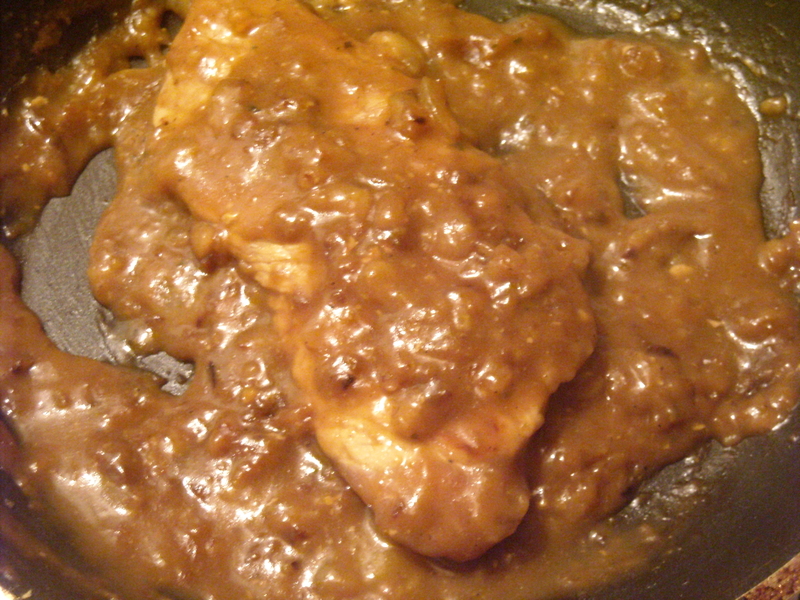 This is quite an easy recipe – once the meat and onions are fried up, the rest of the ingredients are added and left to simmer for 7 minutes. 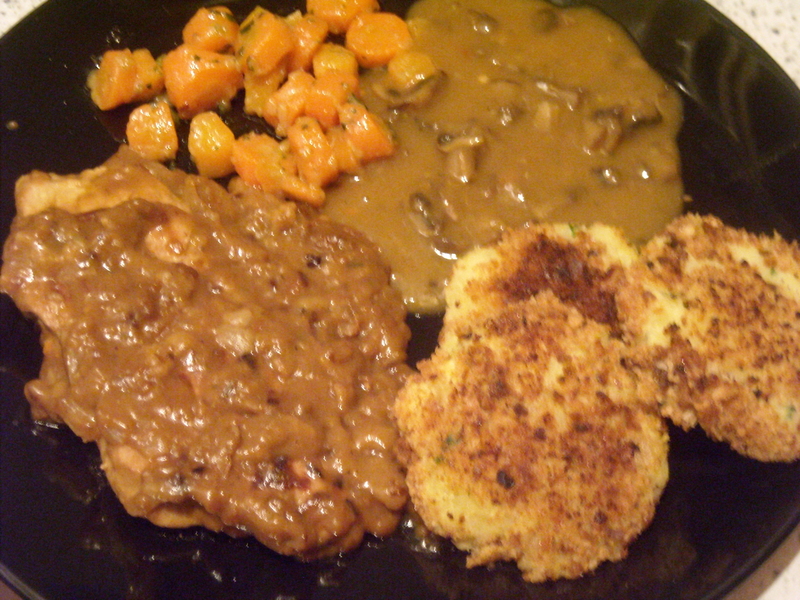 In that time, the mushrooms were stewing in gravy, the carrots were getting tender and the rissoles were being fried. I love easy. My boyfriend loved it all, to my surprise (I usually anticipate at least one, ‘It was nice, but I wouldn’t eat it again’ comment). The pork cutlet was his especial favourite. To me, it struck me as a real ‘gentleman’s dish – the pork marinaded in its meaty, hearty onion gravy, all brown and succulent. 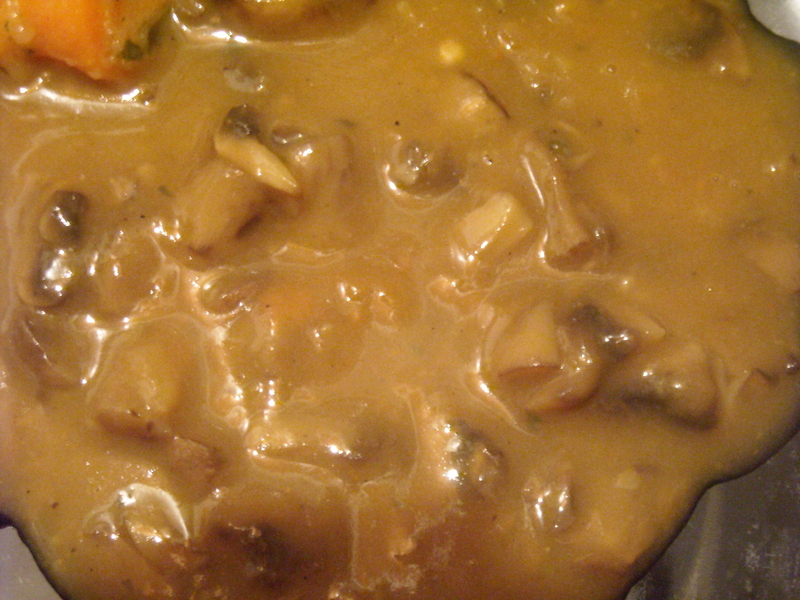 The stewed mushrooms also work very well – I chopped them up a little as whole mushrooms tend to put us both off. By the end of the 20-minute cooking time, they too had been well-marinaded and had become more of a sauce than a ‘veg in sauce’ type of dish. Despite the aesthetically uninteresting colour of the meal, I have to say that it worked very well indeed. Isabella Beeton provides a whole new take on common ingredients – I served three things tonight that I’d have never served before I began taking Household Management seriously. That’s a huge part of the pleasure and motivation of it all. 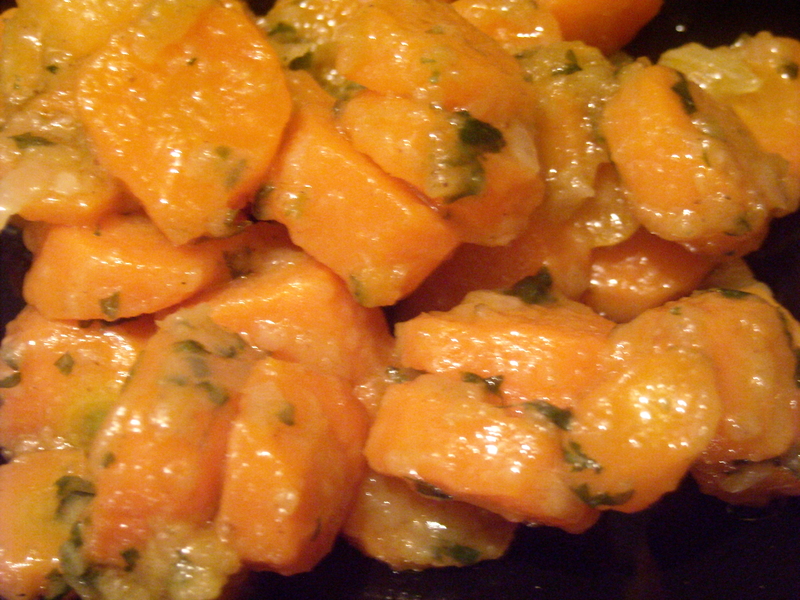 This entry was posted on January 10, 2010 at 11:09 pm and is filed under food. You can follow any responses to this entry through the RSS 2.0 feed. You can leave a response, or trackback from your own site.